The Chairman of the Sri Lanka Rupavahini Corporation (SLRC), Dr Somaratne Dissanayake, says that he is resigning from his position with effect from August 03, due to personal reasons. 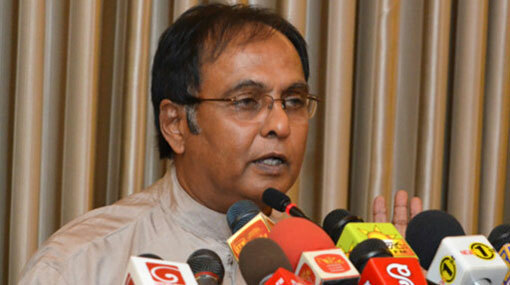 He made this announcement at a press conference held in Colombo today. Dr Dissanayake was appointed as the Chairman of Rupavahini on January 10 following the election of Maithripala Sirisena as the President.